One of the ways in which you can check history on iPhone is through Safari itself. It is quite a convenient method and can be used with any Safari Page. Below are the steps that you can follow to easily view search history on your iPhone through Safari. Step 1: Launch Safari on your iPhone. Step 2: At the bottom, you will see a toolbar where an arrow will be displayed on the left hand side. Tap and hold the arrow button. Step 3: You will then be able to see the history menu. You can tap on any link that you may wish to open. iMyFone Umate Pro or iMyFone Umate Pro for Mac is an excellent application for viewing browsing history on iPhone/iPad. 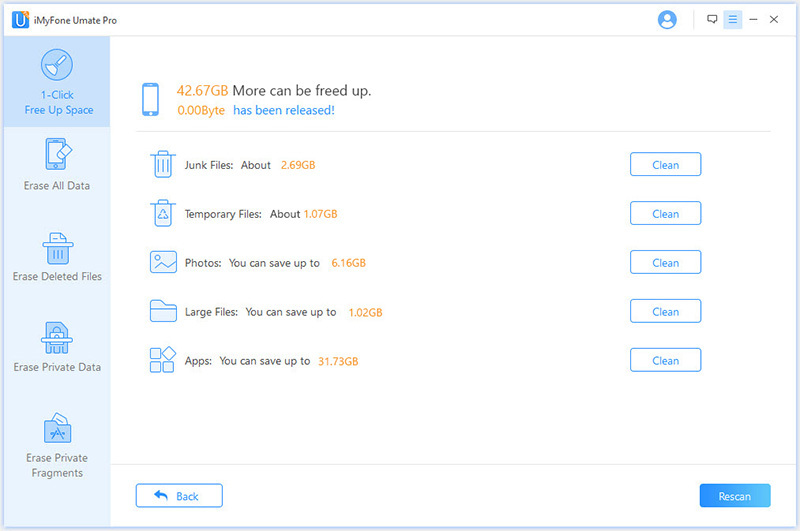 Similar to viewing history using Safari, iMyFone Umate Pro is a very convenient way of checking your history except for being much faster and effective. Below are the steps that you can follow to access your history on iPhone using iMyFone Umate Pro. Step 1: Launch iMyFone Umate Pro and connect your device to your computer. Step 2: Click on the “Erase Private Data” option. 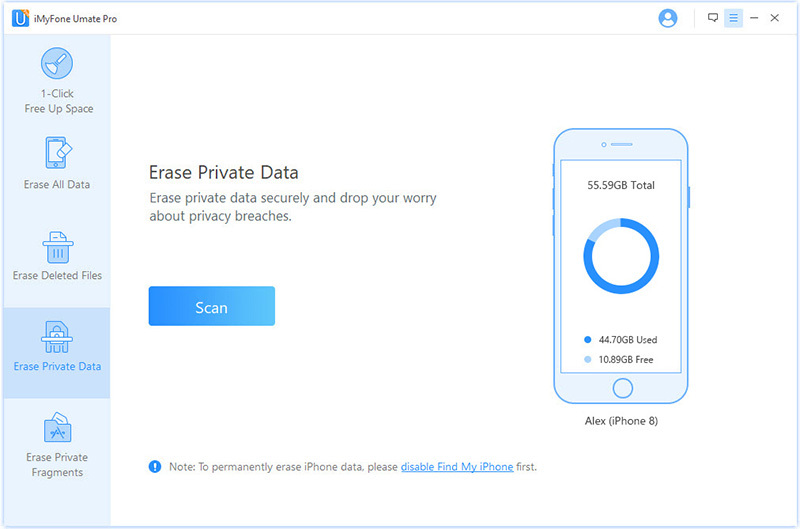 Once you do, iMyFone will start scanning your device for private files. Step 3: Once scanned, you will see the ‘Safari History’ tab. Tap it to view all your browsing history. Using Safari to view your iPhone History is certainly a simple method. However, users usually want to perform further actions that are not allowed by Safari. This is where iMyFone Umate Pro comes in. It is an easy-to-use organic software for all things related to viewing different types of history, freeing up space, erasing data, securing your privacy and much more. Firstly, iMyFone Umate Pro, unlike Safari, can not only let you view your browsing history, but also allow you to see call histories, Safari caches, cookies and a myriad of other file types. Secondly, you will also be able to view deleted iPhone histories. This is very useful as there are many times when you want to visit a certain link that you have forgotten and have previously deleted. Using Umate Pro, you can view such deleted histories in no time. Thirdly, you can erase your private history completely making it 100% unrecoverable. This makes sure no one can access your history in any way thus protecting your privacy. Help you delete all the unnecessary files that accumulate with time. Such files include hidden junk files, temporary files, app caches, cookies, crash logs etc. Delete other large files such as photos, videos and apps. You can mass delete such files saving you a significant amount of time. 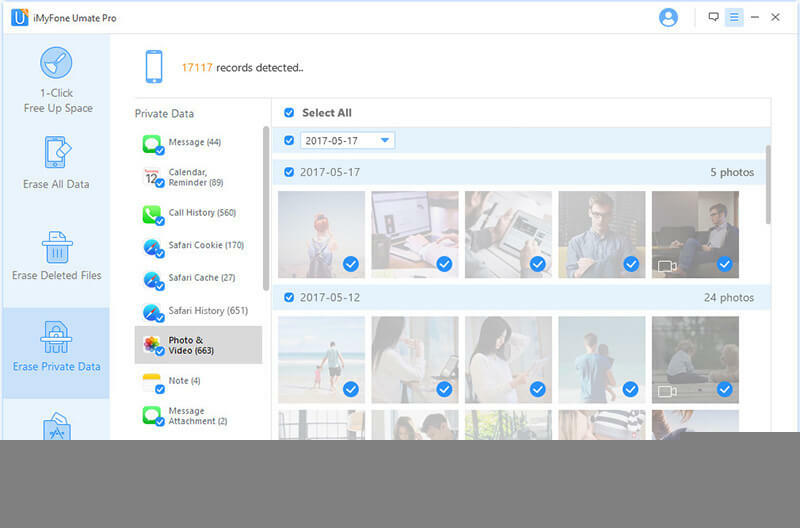 Furthermore, if you do not feel like deleting your photos, you can even compress them and export to your PC using Umate Pro. 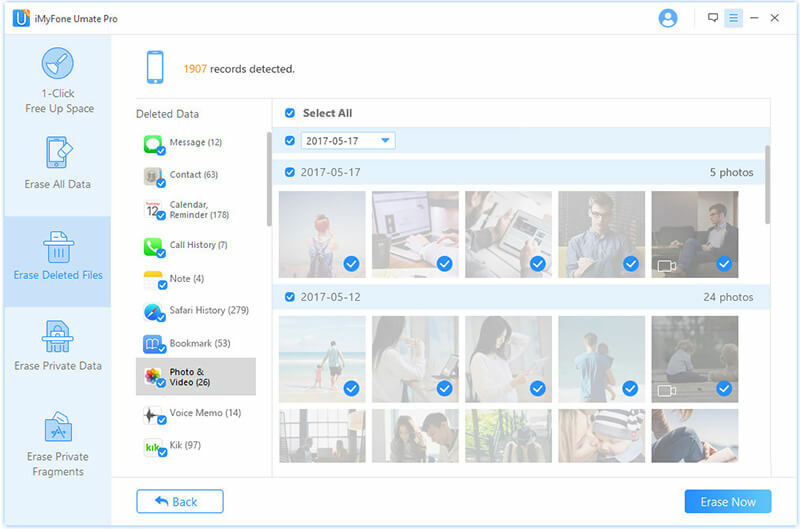 In terms of protecting your privacy, iMyFone Umate Pro lets you erase files that you have already deleted. This is because files that you delete can normally be accessed using various methods. iMyFone removes such files by overwriting them thus making it impossible for anyone to retrieve them. You can also erase WhatsApp messages, call history, contacts etc. all in one go. Although Safari may not be an efficient tool in terms of letting you view and erase different types of history files, it is, however, a capable application that allows you to do a lot of other useful things. As may already know, you can switch to Private Mode while using Safari. This will ensure that no history files are created as you browse through different links. It is therefore an effective preventative method of conserving your storage space. You can also block certain websites using Safari. This is very useful if you want to block certain content that you do not want your kids to access. In addition, Safari allows you to even mute and pin tabs. Doing so will let you hear the sounds from only those tabs whose sound you want to hear and give you easy accessibility for websites that you visit quite often. Lastly, you can also search within webpages and also view a webpage’s source.